Doing laundry is a hassle—even if it involves carrying clothes down the hallway to your washer and dryer. Scientists in China may have the ultimate solution for slackers and dirty hippies alike, rendering washing clothes unnecessary altogether. 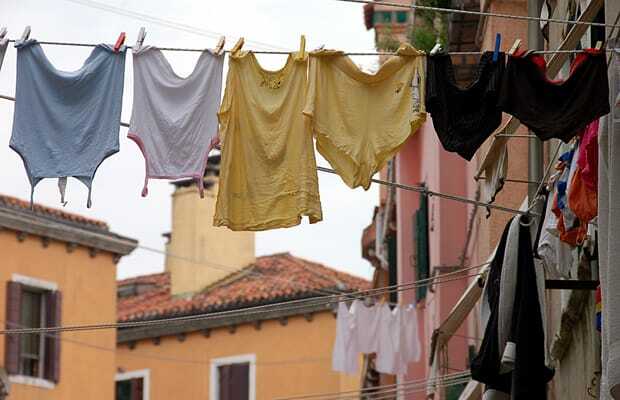 Coating cotton fabric with titanium dioxide and nitrogen, the scientists found that natural sunlight alone acted to remove dye stains the clothes. Previous self-cleaning fabrics required ultraviolet light. The only drawback is that titanium dioxide, though an ingredient in cosmetics and sunscreen, can still cause genetic damage in mice. Kinda scary, but here’s hoping they can figure that out.